If we could keep our air conditioners running at full blast all day, we would. Of course, for most of us, that’s simply not possible—the costs of running an AC day or night are far too high. 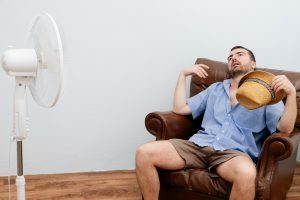 It’s not too great for the environment, either, and you could quickly wear down your air conditioner and require a replacement before you know it. From time to time, it’s important to give your air conditioner a break. Let the components have a rest so that you can keep your equipment longer. Besides, who doesn’t want to save money on their energy bills? Here are our tips for staying cool while letting your AC have a bit of a rest. Are you thinking of upgrading your heating system with a zone control system in your Miami? The heating experts at Air On Demand can help you out with this get more out of your forced air heating system and get better overall home efficiency with zone control. Call us any time to set up a consultation. Zone control systems can be integrated into your forced air heating system. First, dampers are installed inside your ductwork, and these can be open or closed by a control board. When they are open, that area or “zone” will get more heat, but when they are closed, less heat is sent to that room. This is more effective than simply closing off vents or closing doors because it adjusts the air pressure inside the air ducts. When you simply shut off a room, there isn’t enough airflow, which can cause other problems. Depending on how many zones you want, you can save a lot of energy by not heating your entire home at once. If you aren’t sure, call Air On Demand for advice. When you hire one of our qualified technicians, the technician will test efficiency levels and fully assess your current system. Once we make our recommendations and install the zone control, we will make sure you know how to use the zone control system and the various thermostats to get the most energy savings. Call the Miami heating experts at Air On Demand for Zone Control Installation and Service! In addition to installation, we can also repair or maintain your zone control for lasting results. Whether you want to retrofit your current forced air heating system, or you need a new heating system for a home you are building, call Air On Demand for all your Miami zone control needs. It may sound strange, but the quality of your indoor air can impact how efficiently your home in Miami runs. If you’ve never thought about the quality of your home’s air, it might be a good idea to start. The EPA says that indoor air quality is a leading threat to respiratory health in the United States. 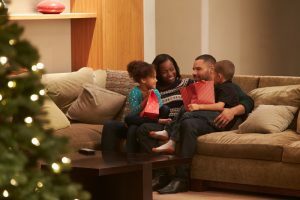 In this blog post we’re going to look at some steps to take that can improve indoor air quality and efficiency in your home. Ventilation is a critical part of your home’s heating and air conditioning system. Not only does proper ventilation allow for increased efficiency, it allows new, fresh air into your home in a controlled way. You don’t want air coming into your home through leaks or cracks. You want to be sure that you are in control of where and how new air comes in. A good ventilation system will ensure proper pressure and air flow throughout your home as well. The ducts in your Miami house are the arteries of your heating and air conditioning system. If you have cracks or leaks in them, you are allowing outside contaminants and mold to enter your air supply. Additionally, when your heated or cooled air travels through the ducts, a lot of it might be escaping through the holes. By having your ducts inspected and sealed you can not only increase the efficiency of your home but you can also increase the air quality in your home. If you have any questions about the indoor air quality in your Miami home, contact Air On Demand. We would be more than happy to talk with you about some home efficiency and air quality solutions. The City of Homestead is offering rebates for AC maintenance and air conditioning system installations for City of Homestead electricity customers! If you have not had an air conditioner tune-up or maintenance visit yet this year you can get $50 towards a maintenance visit. If you are looking to upgrade your system or install a new air conditioning system you can save up to $350 with a rebate. These rebates are incentives to encourage homeowners to make improvements to their home to increase energy efficiency and lower monthly energy bills. Regular AC maintenance and coil cleaning can reduce the energy use of your air conditioning and increase the efficiency of your system. Not only will you receive an rebate, but by increasing the efficiency of your system you can save money each month as well! Call Air On Demand to find out the best system upgrades for your home or to schedule a maintenance visit. 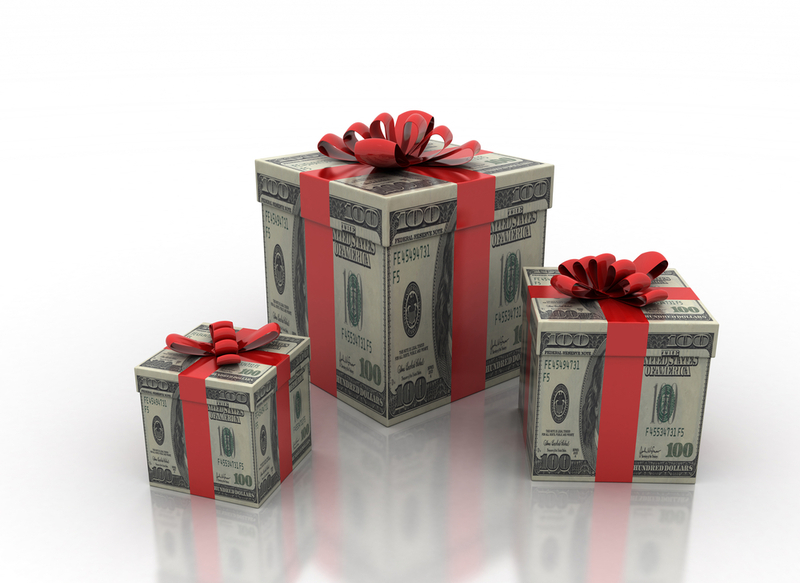 If you are Homestead resident don’t forget to find out more about rebates available you! Would you drive your car for years without getting a tune up? It’s just as important to have your A/C tuned up. Just cleaning your A/C coils alone can reduce your energy consumption and save you money on your electric bill. Duct systems are one of the key elements to many central air conditioning systems in Miami. They play a vital role in maintaining AC efficiency. Air on Demand works with both air ducts and complete air conditioning systems and can help you understand why ducts are important to AC efficiency. Our air conditioning systems can use as much as half of our monthly energy usage, so addressing all aspects of these highly used systems is important to our budget and to our comfort indoors. Care for an air conditioning system includes scheduling routine maintenance, using programmable thermostats when possible, changing or cleaning air filters on a regular basis, using high-efficiency air conditioners, and having a fully functioning ductwork system that operates as efficiently as possible. The condition of the air duct system contributes to overall efficiency of the air conditioning system. If not properly maintained, they can cause air leaks through cracks, holes, or places where the joints have shifted or become disjointed. These leaks send air into unused spaces, which wastes the energy used to create it. When not properly cared for, ductwork can be a big energy waster, reducing the overall air conditioning system’s efficiency by as much as 20%. 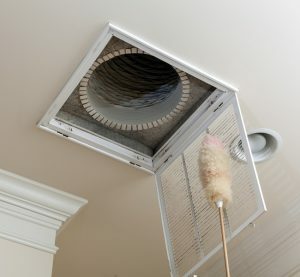 With proper duct system maintenance, air duct leaks will be identified, and resolved by having the ducts sealed, repaired or replaced, and the entire system brought back up to par with how it was originally designed. Ensuring that your duct system is working properly will bring your AC efficiency back up to normal levels, allowing you to save money while using your air conditioning system, rather than wasting money on air sent to unused spaces. Air on Demand is a professional air conditioning company that supplies quality air conditioning services in Miami Florida. Contact Air on Demand and be confident that your ductwork system is properly sealed and works as efficiently as possible. Interchangeable parts have made fixing many appliances and machines much easier. From your car to your vacuum cleaner, you can replace broken parts with new components from a variety of different manufacturers. And while this very convenient for a lot of different kinds of machinery, when it comes to your Richmond Heights HVAC system, it is not necessarily a good thing. In fact, your heating and cooling system will work much better if the components are matched. What is a Matched System? A matched HVAC system is one in which the parts are designed to work together. For instance, an air conditioner and a furnace made by the same company can be matched, as can a heat pump and a furnace. Usually, the outdoor components, such as the air conditioner or the heat pump, are designed to work best with specific models of indoor components, such as the air handler or furnace. While a matched system might seem to limit your HVAC options, it more than makes up for any loss of variety with increased efficiency. Because all the parts with designed and made by the same manufacturer to work together, the system is able to perform at peak effectiveness. And while you can replace one part of a matched system without impairing overall function, you will often lose energy efficiency. For these reasons, it is a good idea to make use of a matched system in your home if possible. If you are installing a new air conditioning system in your Richmond Heights home, this means you might want to consider replacing your furnace at the same time. You should also try to replace any broken components with ones that match your current setup. To learn more about matched systems or to have one installed in your Richmond Heights home, give Air On Demand a call today! Picking out a new central air conditioning system in Miami can be pretty complicated; there is a lot to take into account. You not only want an air conditioner that has the capacity to cool your home, but you also want a model that is energy efficient. The SEER (seasonal energy efficiency ratio) that each central air conditioner has is a very important aspect to consider. SEER is a measure of the unit’s energy efficiency, which has a direct impact on how much you pay on your energy bills each month. The higher the SEER, the more energy efficient an air conditioner is. However, very efficient air conditioners also tend be more expensive, so it’s important to weigh the energy savings compared to the initial cost. In order to figure out the difference in savings between air conditioners with different SEER ratings, you need to do a few calculations. An air conditioner with a SEER rating of 11 is approximately 7 percent more efficient than one with a SEER rating of 10. 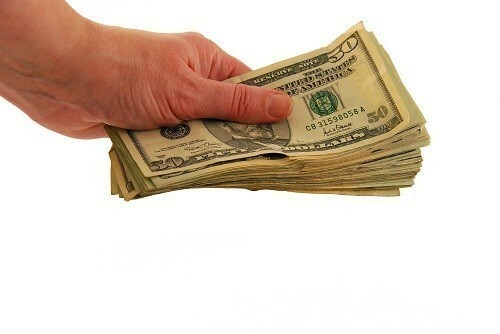 If you are spending $100 on your energy bill, upgrading to a SEER 11 air conditioner will save you $7. If your energy bills are higher (which they very probably are), that 7 percent will save you a lot more. However, you probably won’t be upgrading from a SEER 10 to a SEER 11. Central air conditioners need to have an SEER of at least 14.5 to be ENERGY STAR qualified, and there are units with nearly twice that SEER rating! Those units can make a huge difference in your home’s energy use. Any new air conditioner you buy is probably going to be more energy efficient than your current unit, you just need to choose which model meets your homes needs and budget. If you are interested in learning about the types of air conditioners that are available for your Miami home, give Air On Demand a call today!